WISH U ALL VERY HAPPY PONGAL!!! Now let me tell about the interesting series!!!! I thought of conducting some events on my space... But I was waiting for unique themes and here is the idea to start the series... This time me and my friend Gathampari from Gat's Samayal has planned to conduct the series together. CAN WE TAKE FEW OF YOUR PRECIOUS TIME FOR FURTHER DETAILS??? 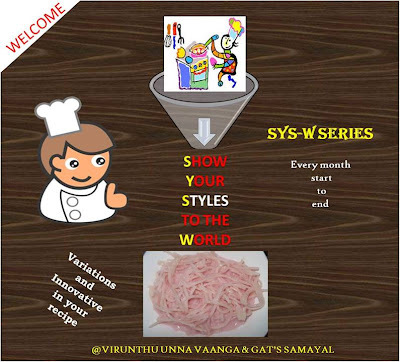 Participate and show your variations and innovation of the recipes from all over the world. Any main or combo of ingredients will be given on the very first day of every month. 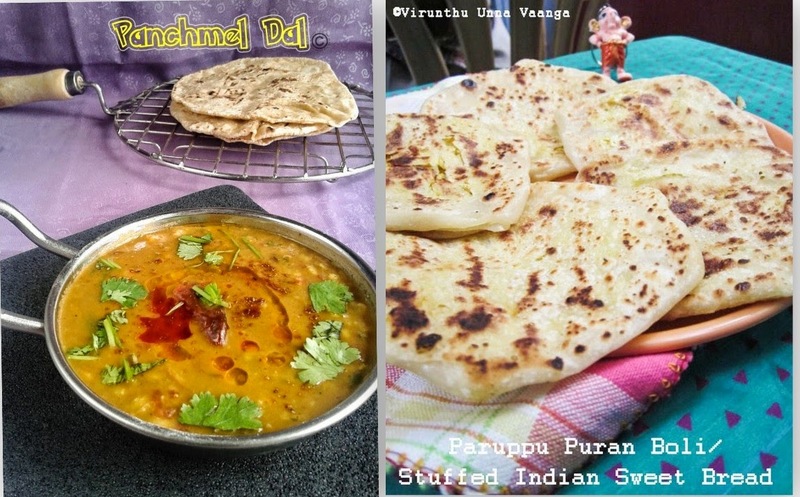 All of you can try out one or two(Optional) recipes with your way of innovations or variations, without omitting the given ingredients that I have mentioned and it should be dominated in the recipe. Cereals substituted with other type of cereals. Lentils substituted with other type of lentils. Vegetarian recipes including desserts link to my space that I have given linky tool below. Non-Vegetarian recipes should link to Gat's Samayal that she have given linky tool on her space. If any problem to link the recipes using linky tool, u can send me mail. OK Now you have submitted your recipe and then NEXT??? 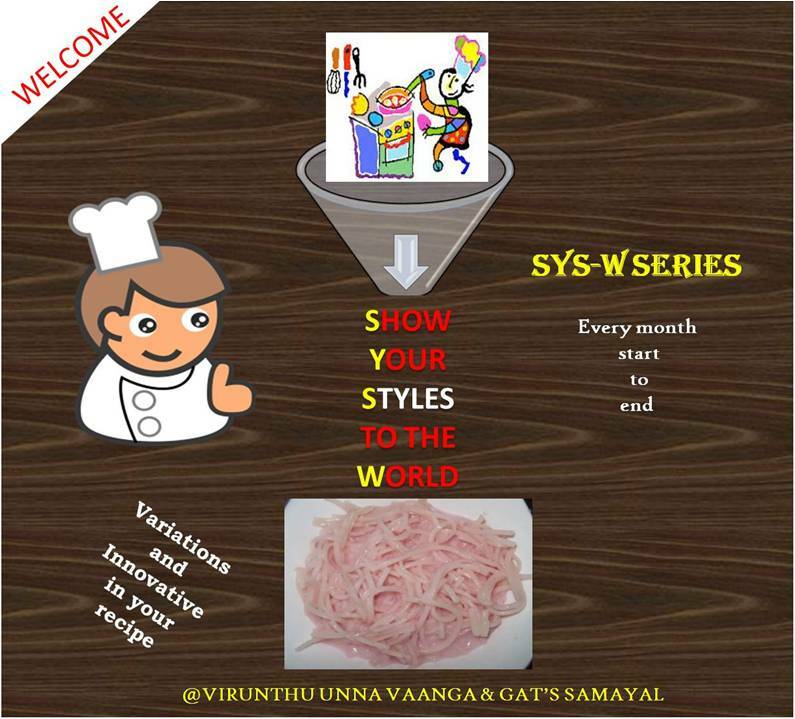 All your recipes will be evaluated by all members of the group - YOU ARE THE JUDGES. I wil send survey sheet to your mail id with some details that is needed for calculating the points and you have to rate each recipes and then send it back to my mail. Me (Evaluate Veg. 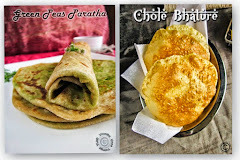 Recipes)and Gathampari (Evaluate Non-Veg Recipes)will also do evaluation with respective categories and compare with all the judgement and then announce the result of the month. I already told that it is a series. So it starts 1st of each month till end of the month. You have one month time to do the recipe and link into the respective page. The results will be announced on 10th of every month. First two months we will be announcing the recipe for the series and a surprise is awaiting for you, which will be revealed later. What friends, is it interesting or not??? I WISH AND INVITE YOU ALL TO JOIN THE SERIES!!! IF YOU HAVE ANY DOUBTS OR SUGGESTIONS!!! I am waiting with peak of enthusiasm to include your names on our series!!! HEY WHERE R U GOING??? COME UP IN YOUR WAY AND PARTICIPATE!!! DON'T FORGET TO MAIL ME YOUR DETAILS THAT I ASKED ABOVE!!! Viji you have an award waiting at my space. Please collect it. Happy Pongal Viji:) Happy Hosting dear!! Will participate for sure! Happy hosting the series event Viji...Best wishes dear..
Lovely event Viji. Happy hosting dear. Happy Pongal dear. Nice event. Nice event Viji, Happy Pongal to you.. Happy Pongal Viji! Interesting event, wish u all success..Happy Hosting dear! Hi Viji... Super event ..Will definitely participate... Happy pongal! Very interesting series!!! am surely participating!!! will send the email soon!! Lovely event, I will send you details. Just Linked my first entry Viji.